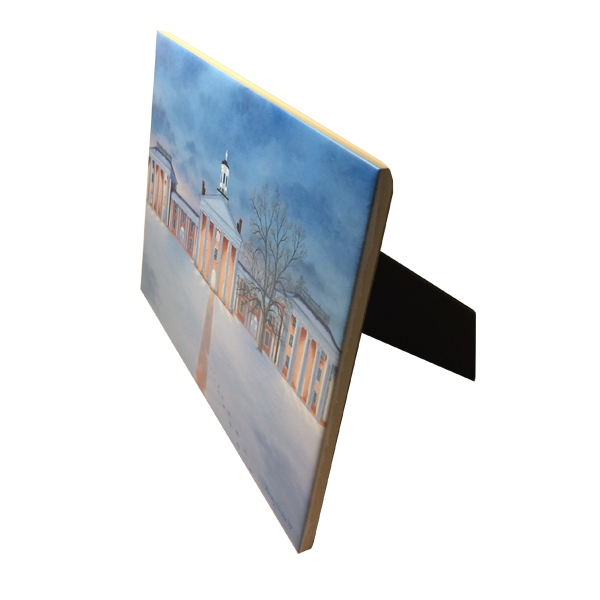 8x6 tile ready to display on your desk or wall! About the Artist: Washington and Lee mother, Tammy Hinkle, aspires to deceive the human eye with a paintbrush. She developed a profound passion for Trompe l’oeil (French for “Fool the Eye”) at an early age and ultimately launched her own business upon graduation. With more than 30 years of experience, her artwork can be found in various homes and businesses along the east coast. From the Artist: "I wonder how much snow they are getting on campus?" I would ask myself. One evening and again the next morning I was compelled to take a peek online from the Colonnade Live Cam that rests atop the steeple of the historic Lee Chapel. I was in awe of the contrast between the cool tones of the ground and the warm light shining off the brick of Washington Hall that bounced a majestic winter glow onto the freshly fallen snow. 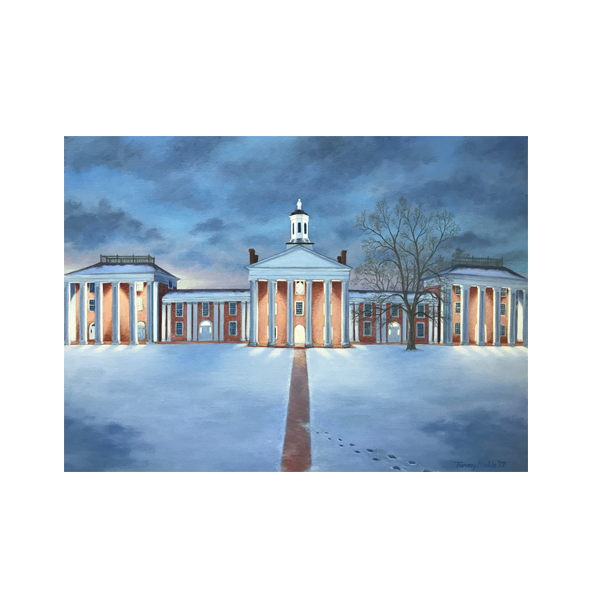 It was a beautiful sight and was my inspiration for this piece that I call... "Winter Glow on the Colonnade"